What’s a summer cook to do? With temperatures reaching more than thirty-eight degrees, I hardly want to switch anything on, especially the oven. We have been alternating between the pool, the Atlantic beaches (Médoc is a peninsula with eighty kilometers of beautiful beaches), trips to Cap-Ferret and some brave city slicking in Bordeaux where the heat has been literaly sizzling. Frankly, my favourite time has been spent on our ‘secret’ beach next to our home – the ocean breeze combined with the scent of pine trees and blackberry bushes make my summer. At home, salads are served as a meal (little joke destined to Brasserie Lipp in Paris where there is a caption on their menu saying ‘no salad served as a meal’!). I can’t imagine eating anything else – it’s got to be light, fresh and tasty in these hot summer days. Today, I jumped out of the pool before everybody and quickly made this delightful tuna, egg, haricots verts (green beans) and mint salad, dressed in a balsamic vinaigrette. It’s such a fulfilling and cooling dish thanks to the panaché of minty flavours. A summer must. Place eggs in a pot and pour enough water over the eggs to cover. Cover with a lid and boil for 15 minutes. Transfer to a bowl of cold water and let the eggs cool completely. Peel eggs and chop finely and set aside. Cut the tips off the green beans on both ends, rinse well and cook for 8-10 minutes in salted boiling water. Drain and set aside to cool. Chop to 1 cm. Set aside. Prepare vinaigrette – mix olive oil, celery salt, pepper and balsamic vinegar . You can add more or less balsamic vinegar to your liking. Set aside. Assemble salad with tuna fish in the center, a layer of chopped eggs, then a layer of green beans. Sprinkle with chopped mint just before serving and drizzle with vinaigrette. Serve immediately. 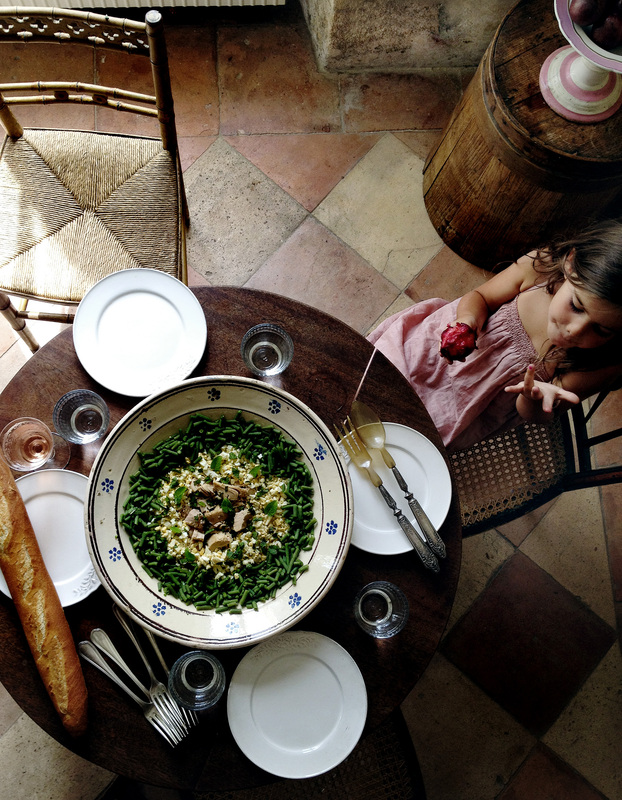 Exactly what I was looking for – a stylish mom, a superb salad, FRANCE! I am in love with your blog! Greeting from NY! 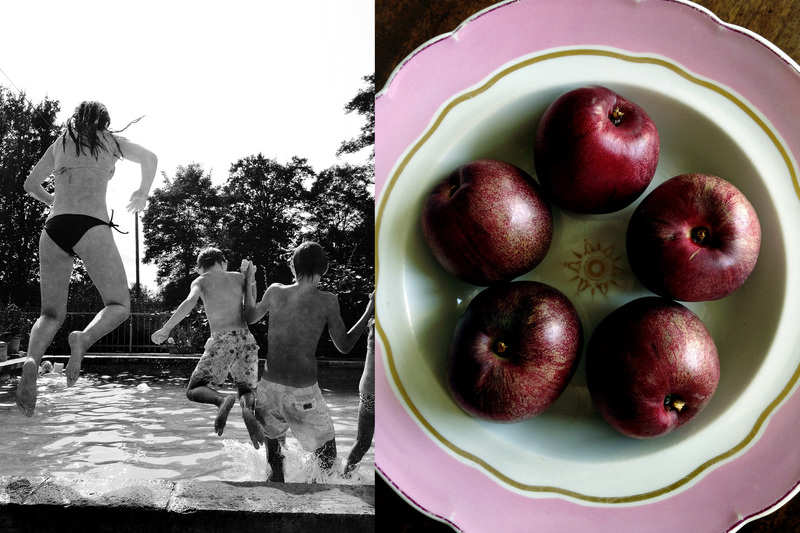 That looks like the perfect, refreshing summer salad, and beautiful photos as always!